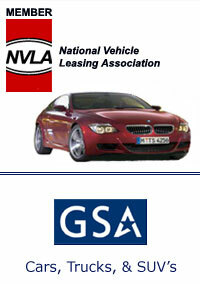 Admiral Leasing has been providing government agencies automobiles, trucks, and SUV's to the United States under a GSA 751 Schedule since 2001. Cumbersome paperwork and details of vehicle operation can add up to more work for your management and staff. Let Admiral Leasing assist in managing your fleet of vehicles; it's something we do every day! We leave you more time to focus on what you do best... managing your business! Even if your company vehicles are driven more than average miles, we have various programs to accommodate your usage. Admiral Leasing provides a wide range of flexibility anywhere from the number of vehicles you can lease to the terms of the lease. Leasing your company vehicles will provide the maximum possible tax advantages. You eliminate carrying a depreciating asset on your books. Your company's borrowing capacity with banks and other lenders remains available for other needs. Lower monthly payments means more available capital for your business. You are only paying a predetermined cost for the amount of usage you need. Admiral Leasing offers leases on all makes and models of cars, trucks, and vans. You'll have one vendor for all vehicles. Whether your company needs one vehicle or an entire fleet, it's time to consider outsourcing the transportation end of your business. Let our experienced personnel create a leasing program that will save you time and money!